NutriChef Water Cooler is constructed from high-quality materials that keep it strong and sturdy. 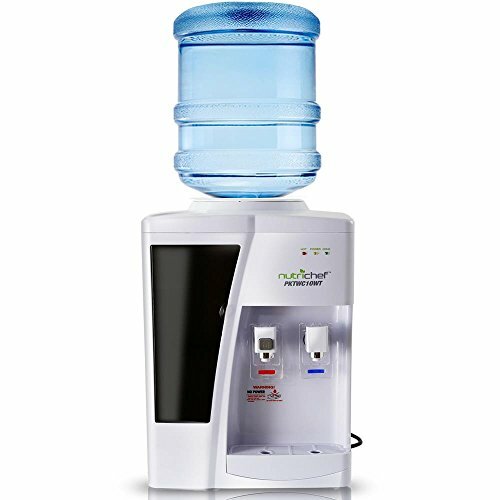 the electric water dispenser is ideal for work, home or other places where you find a water dispenser to be convenient. a safety lock has been installed on the hot water faucet in order to ensure the safety of your little ones and prevent them from accidentally scalding themselves.